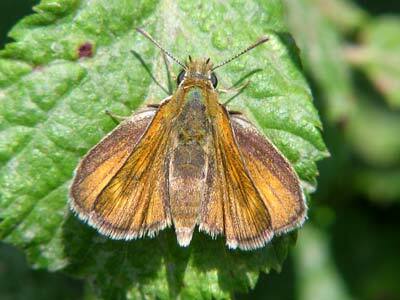 This butterfly is rare in the UK and was first documented from Lulworth cove on the south coast. 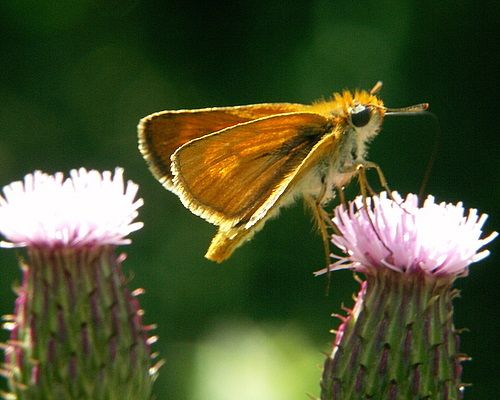 The butterfly takes its English name from this location. 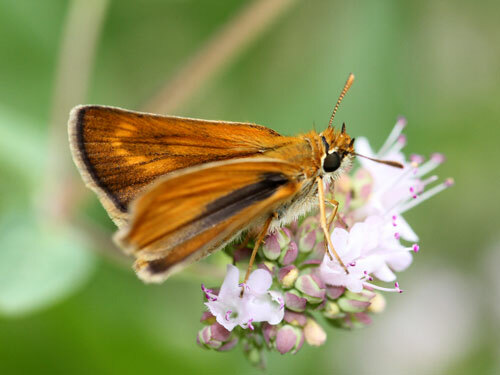 It is known from about 60 colonies in the UK running about 30km east and west from here along the chalk hills of the coast. 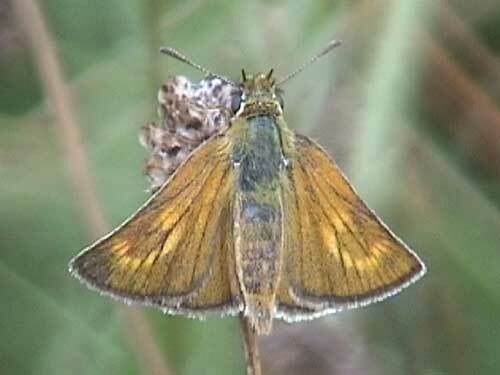 Elsewhere in Europe it is widespread but appears to me to be rather patchy within its range. 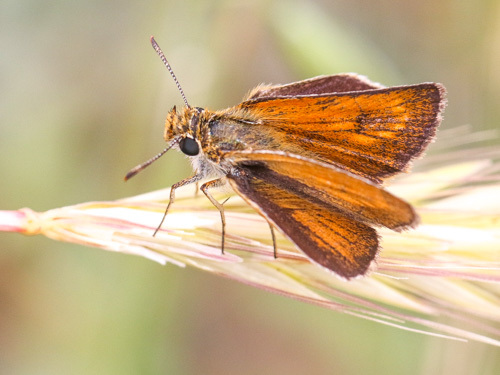 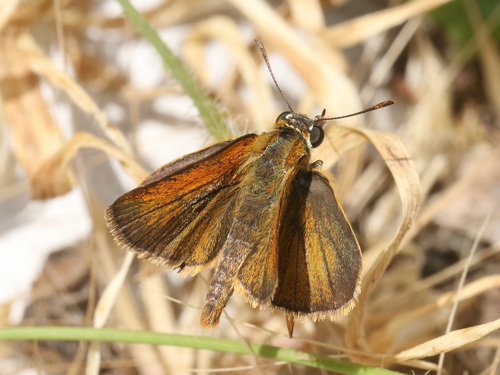 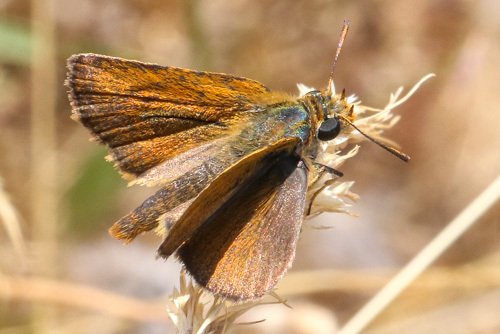 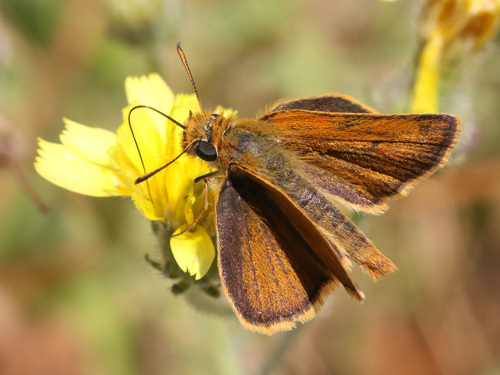 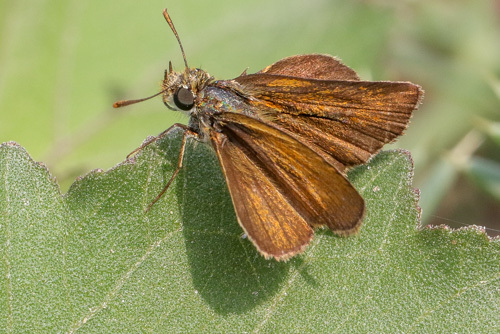 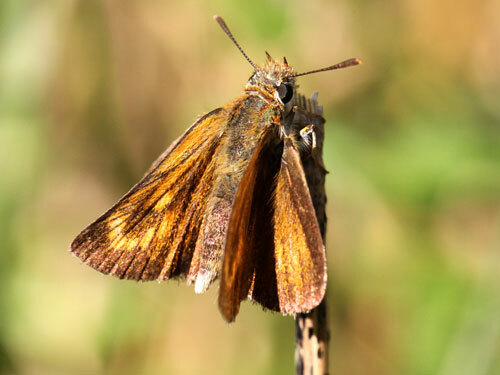 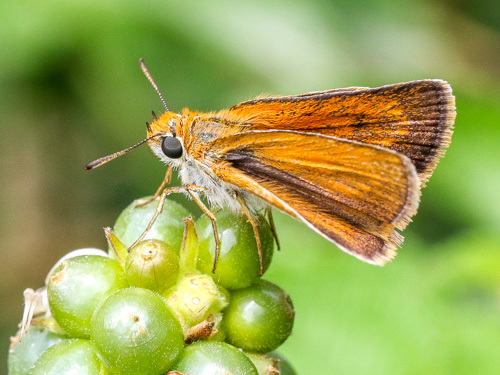 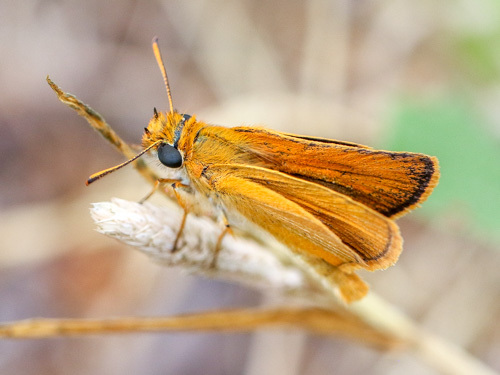 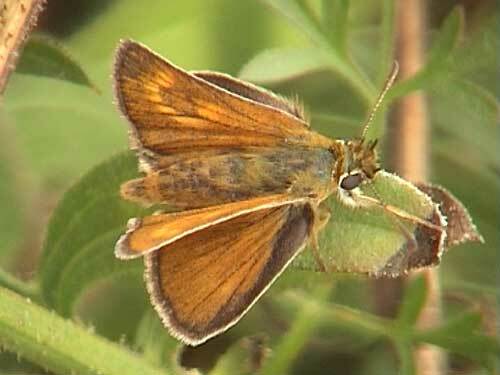 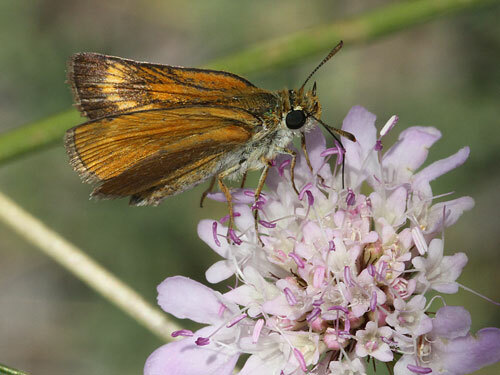 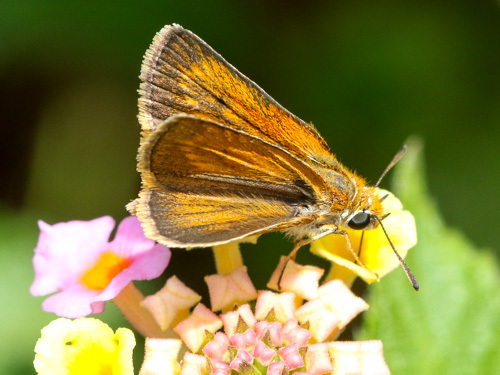 Identification & Similar species: Resembles the other "golden" skippers. 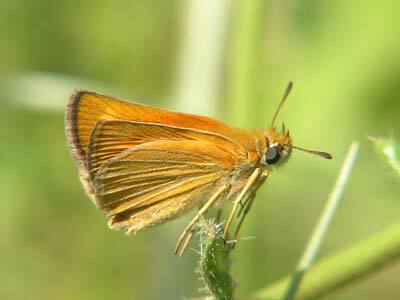 The pale discal patch forms a gentle curve and is unique to this species. 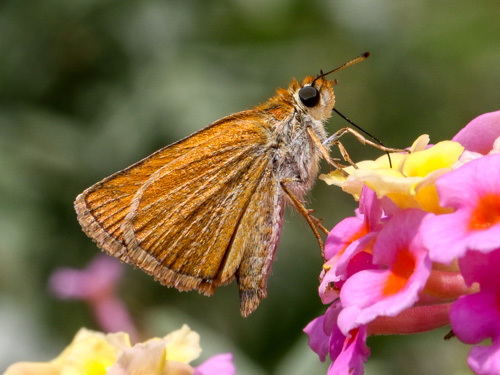 The scent brand extends beyond the cell, it is thin and of uniform width. 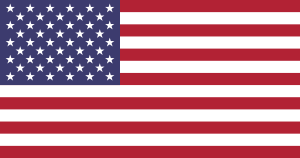 Distribution & Flight: North Africa and all of Europe except Tunisia, Scandiavia, north Germany and much of north Italy. 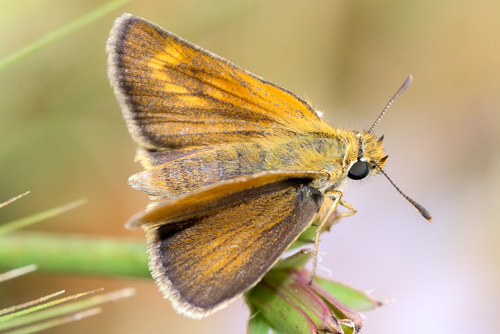 In the UK only in the extreme SW.
Habitat & Behaviour: Grassland or grassy patches in open woodland or scrub usually with flowers. 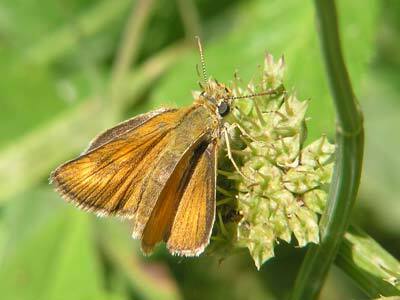 Usually hot sheltered places. 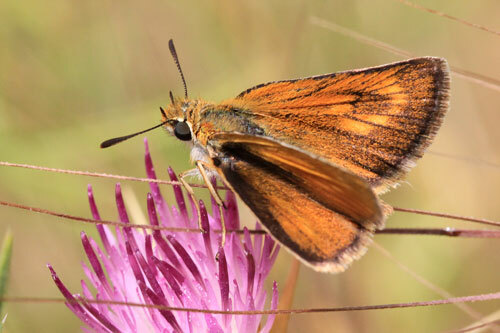 Often takes nectar from thistles and other summer meadow flowers. 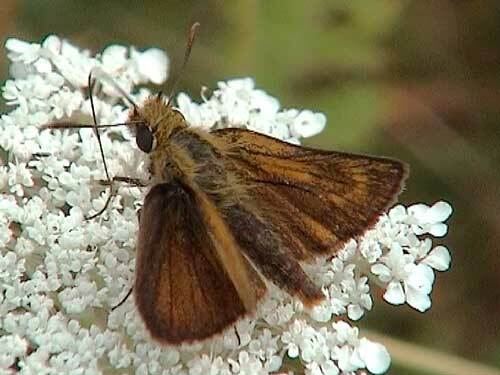 Flies fast with the typical skipper whir.